Joining New Zealand Sothebyâ€™s International Realty as a Director and License Holder at the time of the brandâ€™s establishment in Hawkeâ€™s Bay, Michael Lockâ€™s award-winning property career spans the globe, with his breadth of experience and level of success unrivalled across the region. Receiving numerous awards throughout his career, including New Zealand Sothebyâ€™s International Realty Top Three in 2014, 2015, and 2016, Michael also qualified as an Associate of the Real Estate Institute of New Zealand (AREINZ) in 2007. Quickly developing a reputation for achieving exceptional results in the sale of high-end residential and lifestyle property, highlights include accomplishing a $4.09 million sale for a lifestyle property off Te Mata Road, the sale of 78 Lane Road at $2.375 million, 350 Te Mata Road at $2.91 million, as well as successfully selling all 12 sections available as part of the Red Hills subdivision. 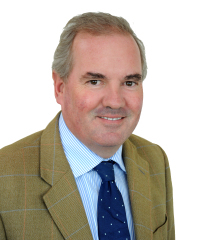 Commencing his career in England, Michael spent three years studying Rural Estate Management at the Rural Agricultural College, Cirencester, and qualified as a Chartered Surveyor in 1989. Initially he specialised in Country House and Farm Sales in Suffolk before moving to London and spending four years in commercial agency and valuations. Michael and his wife Sue returned to Suffolk following their stint in London, to join Nicholas Percival Chartered Surveyors, specialising in commercial agency and valuations. High-profile clients included Guardian Insurance, Royal Mail, Barclays and HSBC banks. After visiting Hawkeâ€™s Bay in July 2003, Michael and Sue made the decision to emigrate the following year. Michael has never doubted that their move to New Zealand was the right one and has thoroughly enjoyed immersing himself in the Havelock North community ever since. New Zealand Sothebyâ€™s International Realty has proven to be the perfect pair to Michaelâ€™s approach to real estate, due to the brandâ€™s global connections, reputation for quality, and focus on the mid to high end. For your property requirements, contact Michael Lock.